Working in a variety of media, these artists share a notably sparse aesthetic and abstract vocabulary, playfully challenge the hierarchies of traditional art materials and processes, and deftly marry formalism with the personal and political. The New Minimalists presents the work of nine emerging contemporary artists, Abdolreza Aminlari, Niyeti Chadha, Noor Ali Chagani, Sam Chun, Jordan Nassar, Shahpour Pouyan, Freya Powell, Lauren Seiden, and Joseph Shetler. Working in a variety of media, these artists maintain the sparse aesthetic, abstraction, and re-examination of the hierarchies of traditional art materials and processes that defined historical Minimalism. Yet they distinguish themselves as part of new generation of practitioners, more inclined to replace the monumental with the intimate, draw inspiration from craft instead of industry, and overtly marry formalism with the personal and political. Lauren Seiden uses marble as a sculptural material and drawing surface. Taking graphite to stone, Seiden traces over naturally occurring marble veins, building layer upon layer of marks until the marble has been adorned with a second skin, cloaking one of art’s most elevated materials with arguably the most basic. Also meditating on stone, Sam Chun elevates a lowly pebble to an object befitting a portrait. Working in a hyper-realistic manner, Chun creates a split-view of his subject: a classical image depicting the whole stone against a deep black background and an extreme, almost abstract detail where, like Seiden, Chun painstakingly mimics the patterns drawn by Mother Nature. The reimagining of traditional sculptural materials continues in the work of Noor Ali Chagani. Combining his training as a miniaturist artist with the ancient technique of clay brickmaking, Chagani builds Lilliputian walls and roofs – simple, universal structures whose rich terracotta color references homes of his native Lahore, Pakistan. Shahpour Pouyan and Freya Powell’s benign formalist sculptures belie their violent inspirations. Each of Pouyan’s concrete-grey domes is a scale visual representation of the energy released in a specific nuclear bomb. The size of the final dome, Russia’s Tzar Bomba, renders the first piece in this installation so small that the artist has encased it in a clear shell to ensure that it isn’t overlooked. This miniscule first dome is a bunker buster, a standard explosive weapon. The second is America’s ‘Little Boy’, dropped on the Japanese city of Hiroshima in 1945. Pouyan pairs man’s explosive potential with that of nature’s; Hanging behind the sculptures, upside-down, is a meticulous drawing of snowcapped Mount Fuji. But Pouyan titles this piece Peak Damavand – playfully commemorating an erroneous billboard at Tehran international airport that welcomed visitors to Iran with an image of Mount Fuji in the background. The billboard should have featured Mount Damavand, the highest peak in Iran and Asia’s highest volcano. Powell’s hammered steel discs, fittingly titled Ellipses, explore the symbolic and literal silence the artist experienced in La Zona del Silencio (the Zone of Silence). Located in the Mapimí Desert in Mexico, this almost uninhabited area is steeped in mystery akin to the Bermuda Triangle – radio signals and compasses do not work within, and in 1970 it was the crash site of a U.S. Athena test-missile that veered 400 miles off course; the missile was carrying two small containers of the radioactive element cobalt 57. By placing drawing at the center of their practice, many of the artists in this exhibition are playfully challenging the hierarchy of art processes – presenting a preparatory medium as a final product. Seiden and Powell stretch the concept of drawing one step further. The text in Powell’s word lists is not printed – the artist has hand drawn each letter and filled it with ink. Seiden turns to drawing materials to create her sculptures: Raw Wrap 21 is simply graphite on paper, and the site specific installation Reflections in a void (reflect three times) is constructed out of graphite, water, sand. Craft processes meld with the personal and biographical in the work of Jordan Nassar and Joseph Shetler. Drawing upon his Palestinian heritage, Nassar adopts the vocabulary of traditional tatreez embroidery. Using cotton thread on Aida cloth, Nassar reinterprets these centuries-old patterns in sparse, abstract compositions. Shetler credits Anabaptist theology for both shaping his simple, minimalist aesthetic and instilling a penchant for labor-based processes. Taking cues from Mennonite quilt-making traditions, Shetler pieces together sections of isometric graph paper into a patched blueprint on which he draws complex, web-like grids. The grid is also subtly referenced in Niyeti Chadha’s pen and paper drawings. Chadha considers architectural drawings and the topography of urban spaces, abstracting recognizable patterns into puzzling yet familiar forms. Abdolreza Aminlari employs a similar tactic in his photographs and works on paper. Easily mistaken as white on white paintings, the former are color photographs of the snowy Icelandic landscape on a foggy day, a straightforward photograph abstracted through Aminlari’s lens. In the latter, Aminlari adopts a domestic process, sewing, and a couture material, gold thread, to continue playing with landscape – radically abstracting the form to a glinting, ethereal vista. Sarah Burney is a specialist of South Asian and Middle Eastern contemporary art, emerging NYC artists and contemporary printmaking. Raised between Kuwait and Pakistan, Burney graduated from Wellesley College, and worked with Zarina Hashmi, Robert Blackburn Printmaking Workshop, Bodhi Art, and Burney Morgan Art Advisory prior to launching Sarah Burney Art Advisory. She was on the board of the South Asian Women’s Creative Collective from 2014 – 2016. Abdolreza Aminlari (b. 1979, Tehran) received his BFA from the College for Creative Studies, Detroit, MI. He has had solo and group exhibitions at Cuadro Gallery (Dubai), Taymour Grahne Gallery (New York), Andrew Rafacz Gallery (Chicago), Jackie Klempay Gallery (Brooklyn), Longhouse Projects Gallery (New York), Storefront Bushwick (Brooklyn), and Derfner Judaica Museum (Bronx). He also collaborated with composer Katharina Rosenberger on “Gesang an das noch namenlose Land”, a string trio composition accompanied by Aminlari’s tapestries, commissioned by Gare du Nord (Basel). He is represented by Andrew Rafacz Gallery. Niyeti Chadha (b. 1979) was the recipient of the scholarships at the School of Visual Art, New York (2010), Manhattan Graphics Centre, New York (2006), INLAKS Fine Art Award, Inlaks Foundation, India (2005) and Junior Research Fellowship granted by University Grants Commission, India (2003). Shuttling between India and USA, Niyeti has exhibited widely in India and abroad, the significant ones being – ‘Weaving Shards’ Gallery Latitude 28,New Delhi, ‘Drawing Notes’, Studio X, Global Network Initiative | GSAPP | Columbia University, Mumbai; ‘A Script for a Landscape’ – Site specific Wall Drawing, Queens Museum of Art, New York (2011); Reconstructing (White) 3, curated by Himali Singh Soin, The Loft at Lower Parel, Mumbai (2012); IAAC Erasing Borders 2009, Group Exhibition of Contemporary Indian Art of the Diaspora, Dowd Art Gallery, Elizabeth Foundation for Arts, Queens Museum of Art, New York (2009). Niyeti showcased her works at the India Art Fair 2012 and 2014 at the Latitude28 booth. Her works were exhibited in ‘The Lay of the Land – A Work in Progress’, a group show curated by Anushka Rajendran (2015) and ‘In you is the Illusion of Each Day’, a group show curated by Maya Kovskayaa Latitude 28, New Delhi (2011). Noor Ali Chagani (b.1982, Pakistan) received his BS in computer science in Karachi and then later BFA in Miniature Painting from National College of Arts, Lahore. Chagani has since exhibited in solo and group exhibitions in notable institutions around the world, including Stanford University Cantor Arts Center, California; Institut du Monde Arabe, France; Casa Arabe, Spain; Victoria and Albert museum, United Kingdom; Pacific Asia Museum, California; and the Devi Art Foundation, India among others. Chagani was nominated for the Victoria and Albert Museum’s prestigious Jameel Art Prize in 2011. He was awarded with guest residency in Rijks Academy, Netherlands in 2012, Riwaq Art Space residency in Bahrain 2013, and the Jameel Prize residency in 2017. Chagani’s artwork has been featured in numerous publications such as Los Angeles Times, Asia Pacific Arts, L’Opitimum n°23, Global Citizen 13 magazine, Nafas Art Magazine and several daily local newspapers. The artist lives and works in Lahore, Pakistan. Sam Chun is a NYC based artist and received his BFA at The Cooper Union of the Advancement of Science and Art in 2010. His current work delves into the ideologies of Neo-Confucianism, which was the state religion of Chosŏn Dynasty Korea (14th—20th century) using forms, language and a variety of materials. Although born and raised in the U.S., his upbringing has allowed him to have one foot in the western world and the other in the east. His interests lie in the grayness of being neither this nor that. Jordan Nassar was born and raised in NYC, where he currently lives and works. His recent exhibitions include “Dunya” at Anat Ebgi Gallery, Los Angeles, “Jaffa: New Works” at Artport, Tel Aviv, and “On Longing” at Arcadia Missa, NYC. Forthcoming exhibitions include “New Threads: Perspectives in Contemporary Fiber Art” at Loyola Marymount University, Los Angeles, “Long, Winding Journeys: Contemporary Art and the Islamic Tradition” at the Katonah Museum of Art, Katonah, NY. Shahpour Pouyan has had numerous solo exhibitions, most recently “We Owe This Considerable Land to the Horizon Line”, Galerie Nathalie Obadia, Paris, France, 2017; “History Travels at Different Speeds”, Copperfield, London, UK, 2015; “PTSD”, Lawrie Shabibi, Dubai, UAE, 2014 and “Full Metal Jacket”, Lawrie Shabibi, Dubai, UAE, 2011. Notable group shows include participations in the 7th Beijing Biennale, 2017; Kochi-Muziris Biennale, India, 2016; Jameel Prize 4 Pera Museum Istanbul, Turkey and Asia Culture Centre, Gwangju, Korea; “Rebel, Jester, Mystic, Poet: Contemporary Persians”, Museum of Fine Art, Houston and Aga Khan Museum, Toronto, Canada, 2017; “Iranian Voices, Recent Acquisitions of Works on Paper”, British Museum, 2017; “For an Image, Faster Than Light”, Yinchuan Museum of Contemporary Art, Yinchuan, China; “Global/Local 1960-2015: Six Artists From Iran”, Grey Art Gallery, New York University, 2016; “Memory and Continuity: A Selection from the Huma Kabakci Collection”, Pera Museum, Istanbul, Turkey, 2016; Kochi-Muziris Biennale, India, 2016; Young Collectors, The Elgiz Museum, Istanbul, Turkey, 2014 and the Mykonos Biennale, Greece, 2013. His work is part of many prominent private and public collections including The Abby Weed Grey Collection of Modern Asian and Middle Eastern Art, New York; The British Museum, London; The Metropolitan Museum of Art, New York; Mohammed Afkhami Collection, Dubai, Huma Kabakci Collection, Istanbul; SYZYGY, New York; The Farjam Collection, Dubai; Zoroastrian Cultural Institute, Paris and the Tehran Museum of Contemporary Art, Tehran. In 2016, Pouyan was shortlisted for the Jameel Prize 4 by the Victoria and Albert Museum, London and has been awarded the Civitella Ranieri Fellowship for Visual Arts in Umbria. Freya Powell received an MFA from Hunter College, New York, NY (2012) and a BA from Bard College, Annandale-On- Hudson, NY (2006). Her work has been exhibited in solo shows at Art in General, Brooklyn, NY (2017), Herron School of Art and Design, Indianapolis, IN (2017), Arts Santa Monica, Barcelona, Spain (2014) and Emerson Dorsch, Miami, FL (2013). She has participated in group shows at institutions including EFA Project Space, New York, NY (2016), Queens Museum, Corona, NY (2016), Socrates Sculpture Park, Long Island City, NY (2015), #1 Cartagena: the First International Biennale of Art, Cartagena de Indias, Colombia (2014), and the Bronx Museum, Bronx, NY (2013), among others. Her work is in the collections of the New York Public Library; Bard College; the School of the Art Institute of Chicago; and Hunter College. Lauren Seiden (b. 1981. Lives in New York City) received her B.A. in Painting and Drawing from Bennington College in Vermont. Her recent exhibitions include The Times at FLAG Art Foundation in NYC, Yesterday So Fast at Denny Gallery in New York City, Action+Object+Exchange at the Drawing Center in New York City, The Mattatuck Museum, CT, Violet Burning Sunset, Curated by Todd Von Ammon, ORGANIX: Contemporary Art From The USA, at the Luciano Benetton Collection in Venice for the Venice Biennale. Seiden received the AOL and Chuck Close “25 for 25” Grant Award in 2010, in 2014 she was a recipient for The Drawing Center’s “Open Sessions” program, and in 2016 was a FID Prize finalist. She has been reviewed and featured in ArtForum, Modern Painters, The Brooklyn Rail, Art Fag City, New York Magazine, Time Out NY, and Blouin Artinfo. Her work resides in numerous public and private collections. 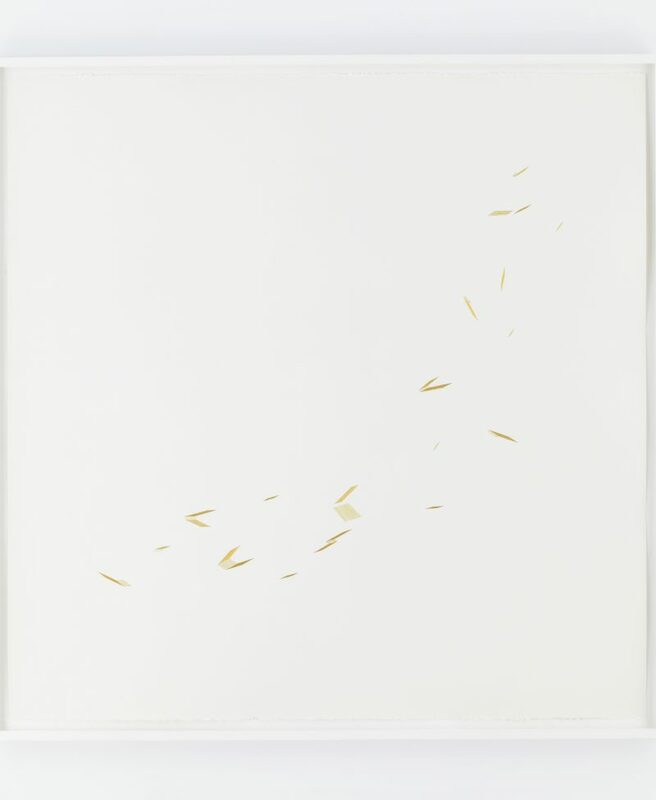 Joseph Shetler (b. Goshen, Indiana) is an American post-minimalist artist. He approaches post-minimalism with a Mennonite lens, basing his aesthetic off of Anabaptist theology and simple way of life and art history. He was educated at Hesston College (A.A. 2004), Goshen College (B.A. 2006), and Arizona State University (M.F.A. 2014). He has participated in residency programs at Anderson Ranch, Vermont Studio Center and Ragdale. He lives in Washington, DC.